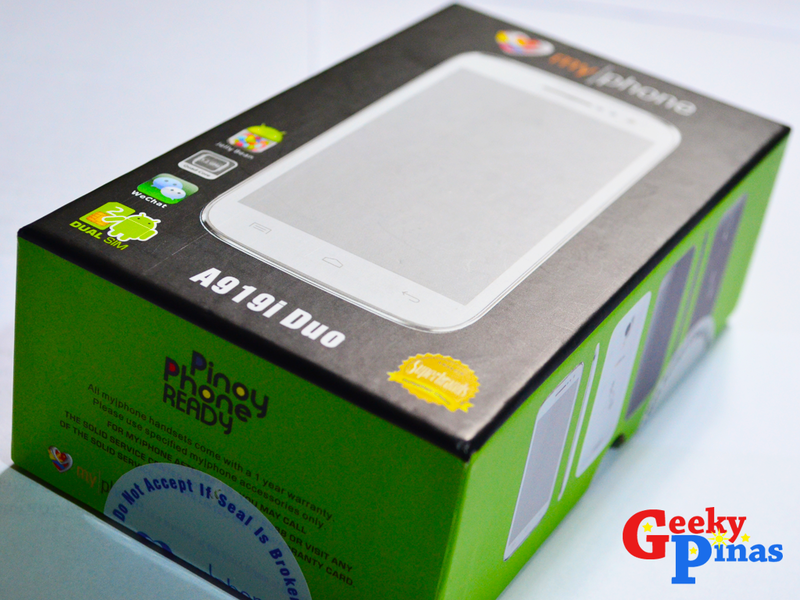 MyPhone A919i Duo Rocks at the Price Tag of PHP6300! Looking for a solid quadcore smart phone under 10K? Here's one of MyPhone's bestsellers this year, the MyPhone A919i Duo, that suits your budget. It's even more affordable this holiday sale, from original price of PHP9590 cuts down to PHP6300. It's the company's previous flagship phone from early to mid 2013, that can compete with some of the mobile heavyweights today. It even topped the list of smartphones under 10K. MyPhone A919i Duo phone display. The Fairy Tail team guards the phone for grabbers! 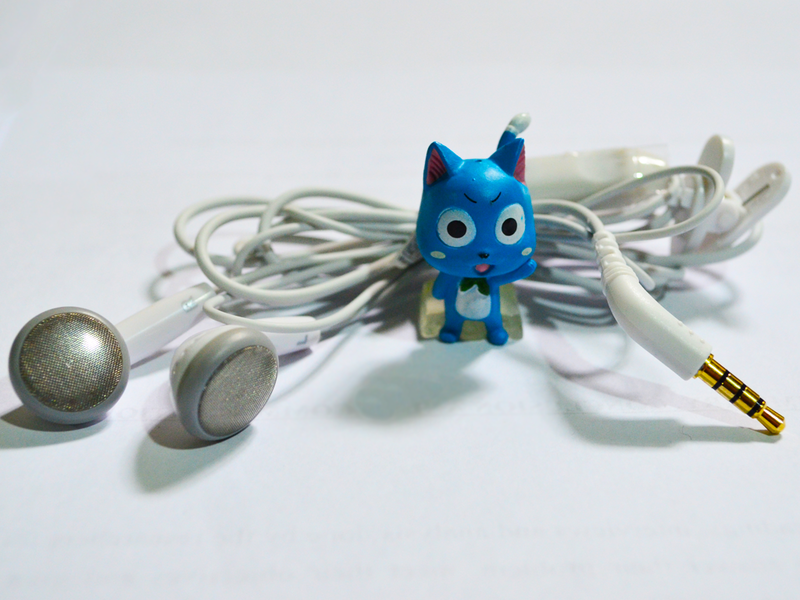 The package contains the phone, earphones, the charger and USB cable, recovery CD and the MyPhone quick guides. It is smaller than other adapters, so it's more portable. 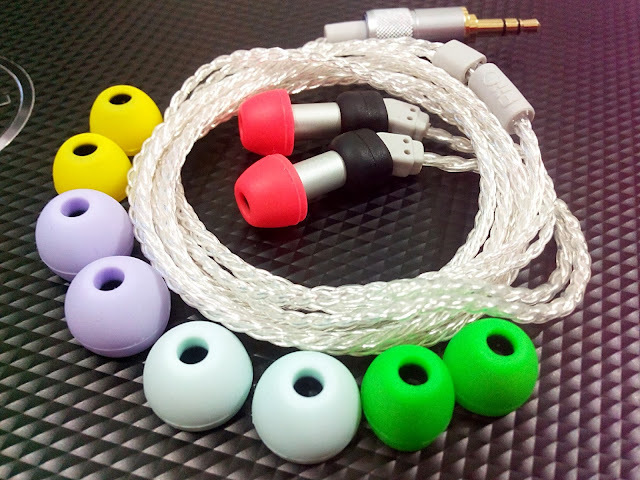 The earphones is okay for calls but not that good for music purposes. Regular users not particular with the sound quality would be satisfied with it. 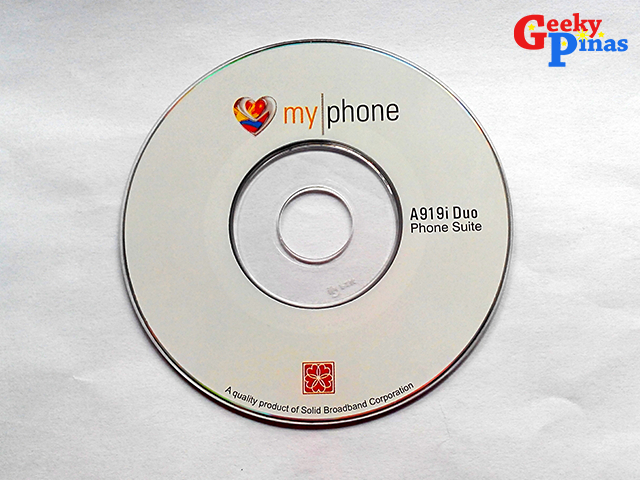 In case of unwanted circumstances, this CD is very useful for phone OS restoration. So better keep it!! 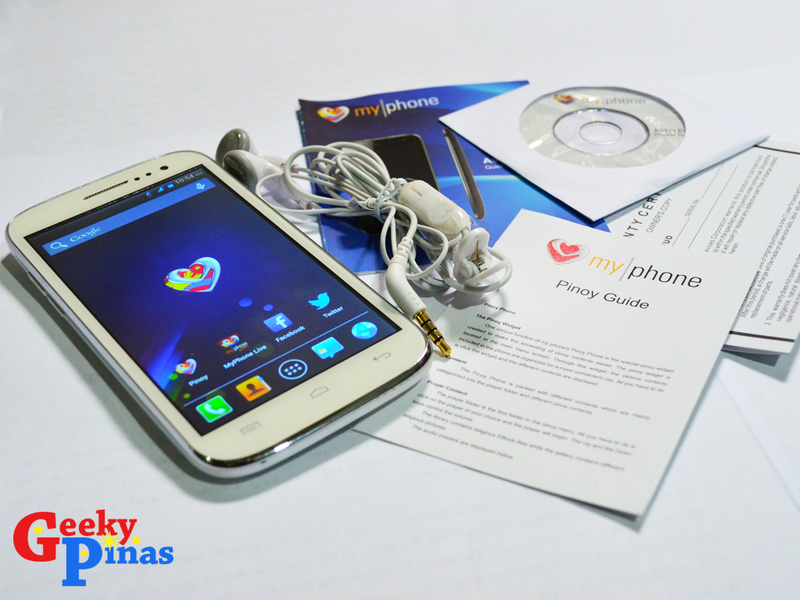 The package also includes the warranty certificate (owner's copy), MyPhone pinoy guide (pinoy widget guide) and the quick start guide (basic info and brief intro to the phone). Its large screen didn't disappoint me, it packs a 294ppi HD Display that makes it amazing when viewing movies, videos and photos. Even the icons looks so sharp and crisp and it's good on all viewing angles. It even outperforms the newer MyPhone Cyclone in display quality. Rear Camera, Speakers, and oh there's Plue lying & eating his carrot! The build quality is pretty solid compared to other local phones, and can go toe to toe with international brands. I did not feel that it's a budget phone because it looks sturdy. I chose the white A919i Duo because of its matte finish compare to the black one which is glossy. 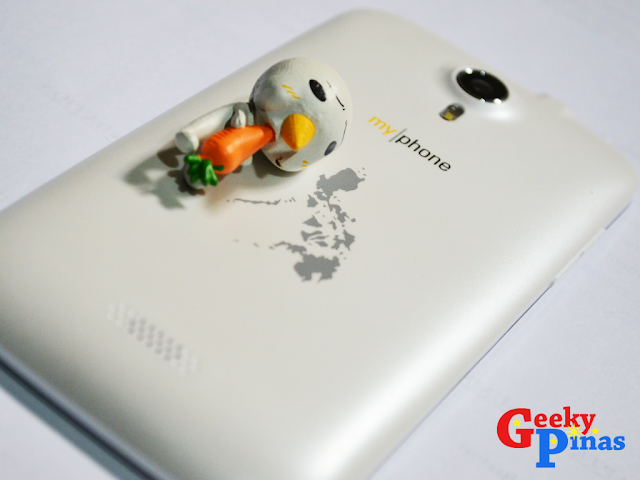 The back of the phone still has the Philippine map unlike the newer released models (e.g., Iceberg, Iceberg Mini, etc) with the simple MyPhone text only. The speaker is located at the bottom back of the phone, which for me is an awkward position. The speaker quality is good, however, watching videos or playing music while positioned on your lap, table or any flat surface would prevent the sound from coming out. It has an 8MP autofocus camera with dual LED flash - which is not common for phones under 10k. See sample shot using the phone's camera below. It has a 2MP front-facing camera, already good for selfies. LOL. Proximity sensors located at the upper right corner, in between the front camera and the speaker. The battery is 2000mAh, good for 1 to 2 days depending on usage. With gaming and other power hungry apps, the battery is good for less than a day. 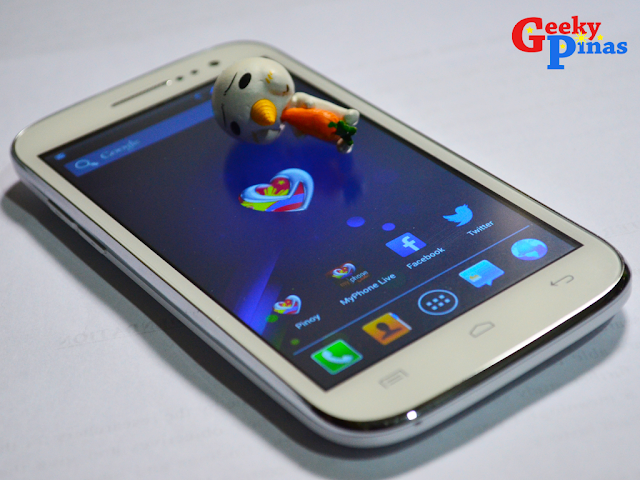 It has a dual sim feature and a memory card slot for micro SD up to 32GB size. Since it's a budget phone, I did not expect much of its internal memory. 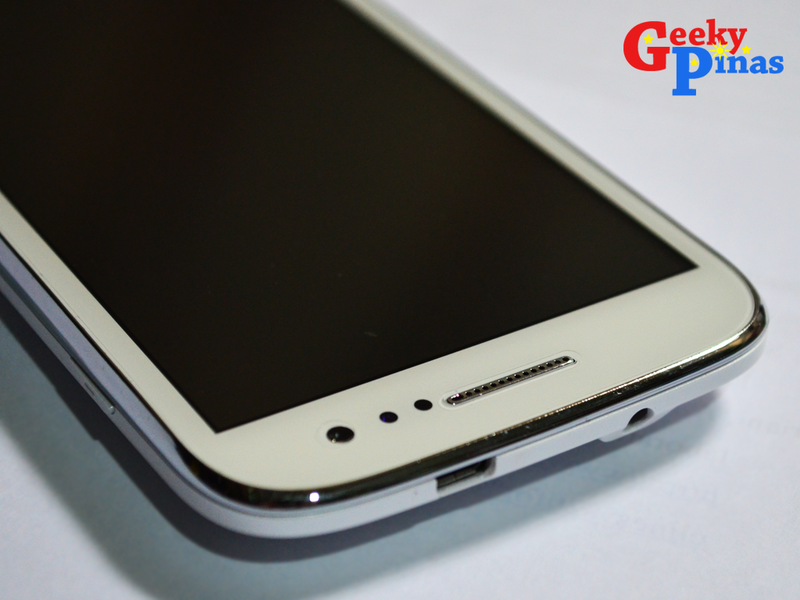 It has 4GB + 1GB internal memory and is expandable up to 32GB via microSD card where you can store apps and files. You can also view files from an external storage device with the use of an OTG cable. USB On-The-Go, often abbreviated USB OTG or just OTG, is a specification that allows USB devices such as digital audio players or mobile phones to act as a host, allowing other USB devices like a USB flash drive, digital camera, mouse, or keyboard to be attached to them. The A919i Duo has a screen mirror or Miracast function to connect with the Smart TV! 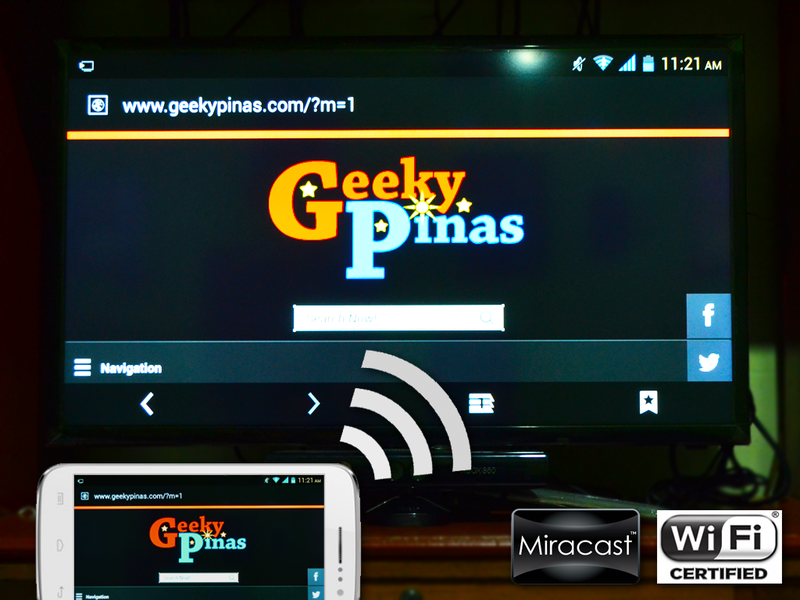 We can also do peer-to-peer wireless screencasting thru WiFi direct connections, the so called Miracast, using this phone. The smart TV displays the screen on the phone. 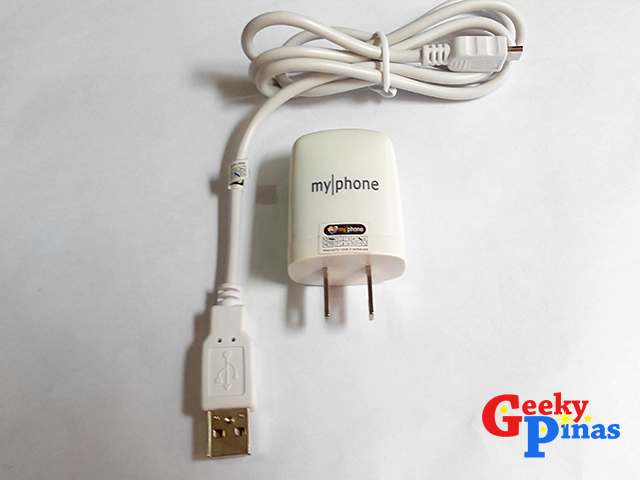 According to the Benchmark Test we conducted, the MyPhone A919i Duo got a good score feedback. See image below. The MyPhone A919i Duo's benchmark score is almost close to Google Nexus 10's and tops on Google Nexus 7. Cool! In the Quadrant Benchamark test, the A919i Duo goes above Motorola Atrix 4G, Samsung Galaxy Tab 10.1, Samsung Galaxy Nexus and LG Optimus 2X. 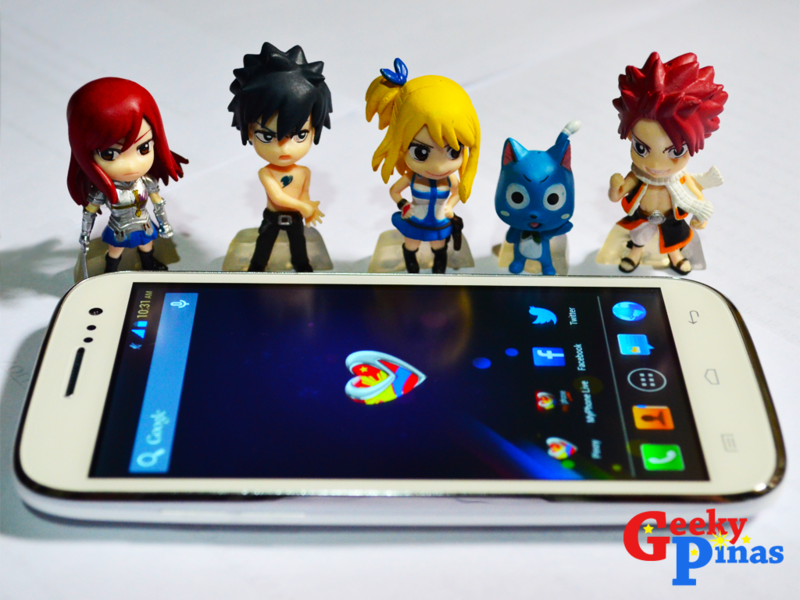 This phone rocks at PHP6300 pesos!!! It's all worth the bucks! My friends even thought that I'm using Samsung S3. I am very satisfied with its performance and did not expect this to be this good since it's a budget phone. I love taking pictures and selfie using this phone compared to my iPod touch, which is grainy. This is a perfect and cheap treat for myself before the year ends! Let's support the local brands.. Let's patronize our own products.